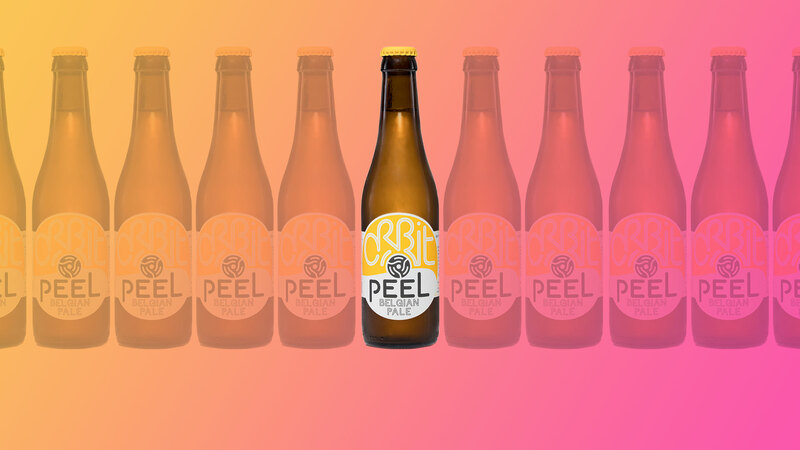 Here’s your cheat sheet for Peel by Orbit Brewing Ltd. Featured in main subscriber box on 21 March 2019. Find Orbit Brewing Ltd on Twitter at @OrbitBeers and on Instagram at @orbitbeers. Serve this beer between 6°C and 8°C; stick it in the fridge for maybe 45 mins to an hour. This beer combines a pale ale character with Belgian yeast notes. Expect plenty of hop character with strong appearances from our friends lemon and lime. You might even get waxy lemon. And then from the yeast look for pepper, fruit and spice plus a bit of funk in the background to top it all off. This beer will probably be pretty versatile. Farmhouse foods should sit well with the yeasty character. Anything funky or earthy is worth a shot: goat’s cheese, mushrooms, rustic pate or charcuterie perhaps. And I suspect it could also worth with Asian cuisine, much like a saison does. Maybe try it with something Thai or Vietnamese. Read more on this beer from BeerBods and Orbit Brewing Ltd. You can also check out some of the previous cheat sheets if you want to catch up on a beer from past weeks.